Just 4 miles north of Cheltenham, nestled away in the Cotswolds lies Cleeve Common, a beautiful spot for enjoying the gorgeous British countryside that's open to the public. 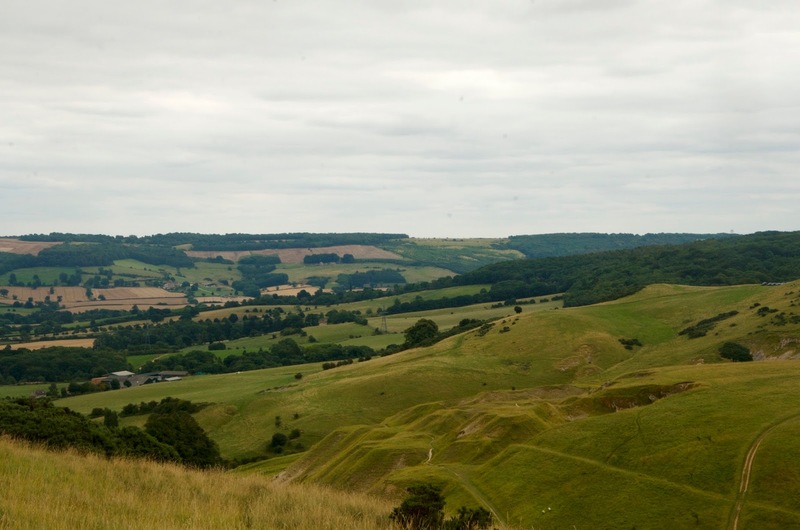 A Site of Special Scientific Interest for its geology, habitats and botany, Cleeve Common offers three Scheduled Monuments and is a spot for archaeological interest. It's also a pretty rad place to spend an afternoon, glimpsing various animals as they freely roam & graze and enjoying a bit of the great outdoors! If you're ever looking at Google Maps and see AONB, it stands for Area of Outstanding Natural Beauty. 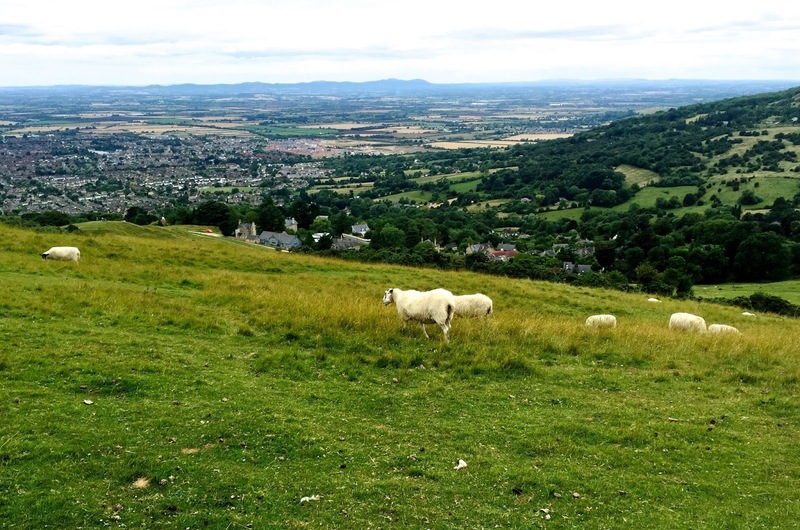 The Cotswolds is one such area and Cleeve Common is part of that, with stunning views as far as the eye can see, not to mention plenty of wildlife to enjoy including plants, insects, reptiles, birds and mammals. Yes, I said reptiles... It's possible you might see an adder, a snake that's indigenous to the UK. I didn't see any while I was there, but you'll want to be aware of your surroundings to avoid any wild confrontations. A wonderful place to hike or picnic, there's also a golf course on the property for those who enjoy hitting a few balls. 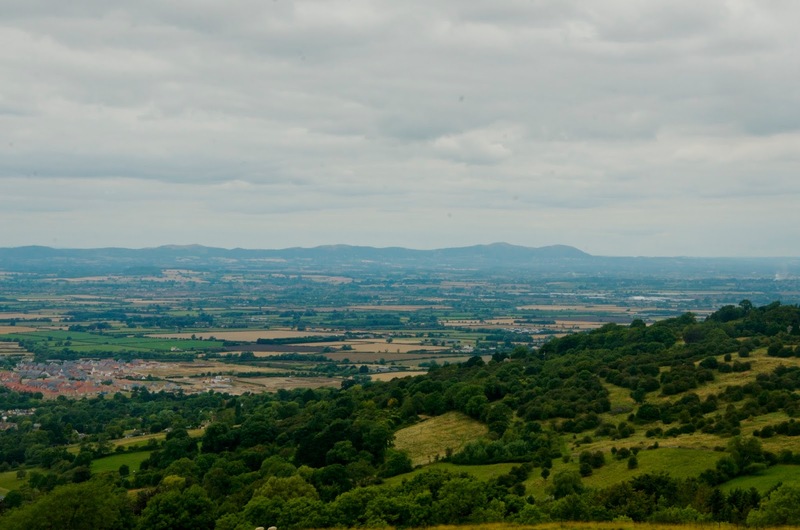 At 1,083 feet above sea level, the common hosts the highest point of the Cotswolds Hills offering views from the Severn Vale to the Malvern Hills, the Forest of Dean, the low vales of Oxfordshire, the hills of Shropshire and even the Black Mountains in South Wales. Yes, that's right... On a clear day, you can see all the way to Wales and the view is breathtaking! Cleeve is Gloucestershire's largest common, ticking in at over 1,000 acres (approximately 1.6 square miles), so there so much to take in. Whether on foot or horseback, this expansive green area is part of the Cotswolds Way National Trail and it's definitely something to add to your to-do list if you're either living in or traveling through England. If you do plant to see this bit of the countryside on horseback, be advised that you will require a hacking license. Off in the distance, there's a tree that stands all alone... They call it The Single Beech and it's the highest tree in the Cotswolds. I didn't hike up to the tree as I was under a time constraint, but should you choose to, you will find a 360° view of the open common and all its beautiful landscapes. A memorial wall surrounds the tree with plaques that commemorate the lives of those who loved Cleeve Common. 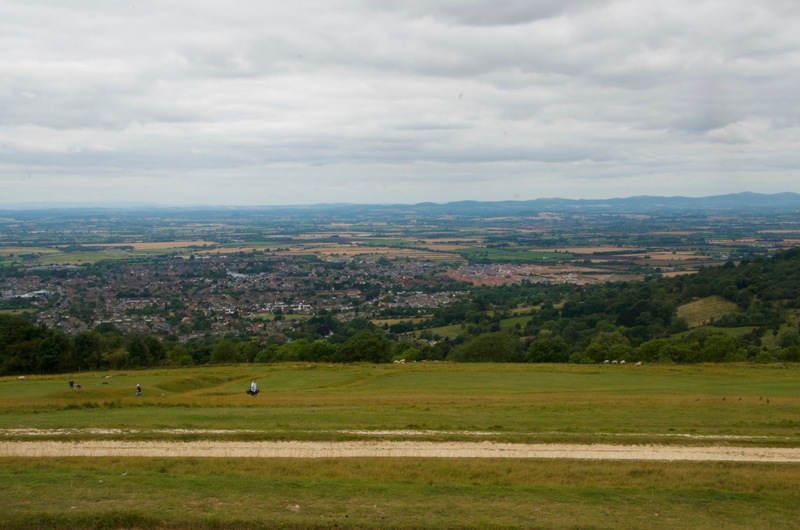 On the southern end of the common, you'll find The Twins, two windswept trees that bend toward each other overlooking Cheltenham and Gloucester. 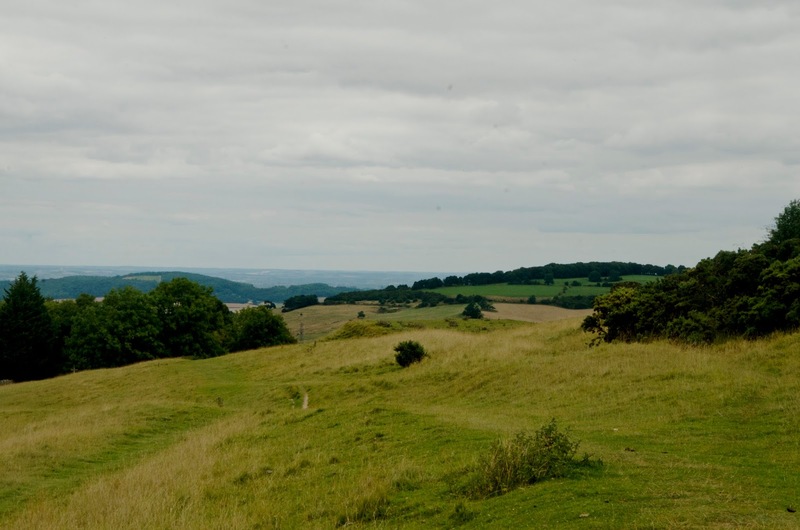 If you're out exploring the common, you might also find any of the 35 hillforts on the property, Cross Dyke, Huddlestone's Table, The Ring, The Washpool, the Dew Pond or the Rolling Bank Quarry. 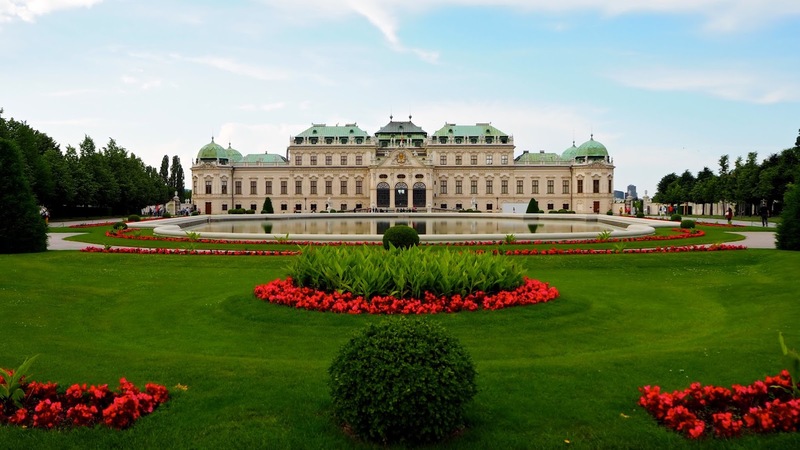 There's so much to see and do that it would be impossible to cover everything in just one day. 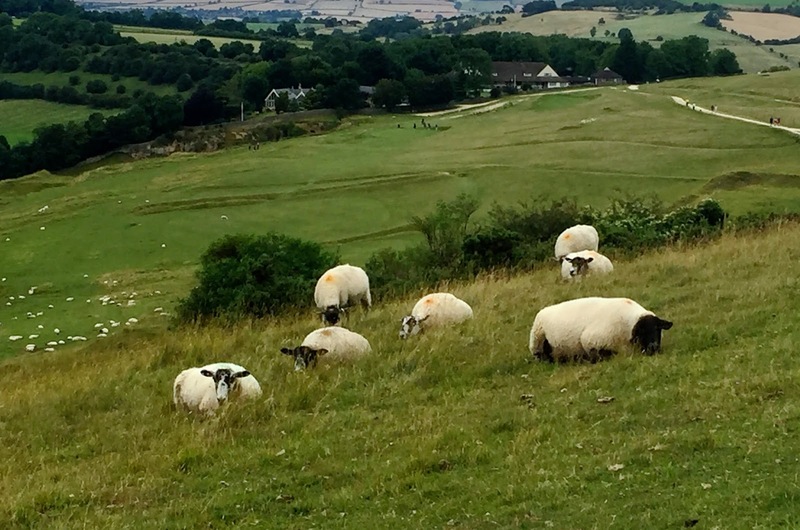 You may see everything from golfers to rock climbers, plenty of fellow walkers, people enjoying picnics and even mountain boarders during your time in Cleeve Common. Field studies are often conducted in this lush landscape and many bird watchers enjoy the area. In certain areas, kite flying, kite boarding and even kite buggies are permitted as well as cycling. Rock climbing enthusiasts may want to visit Castle Rock and in the winter when it snows, the slopes of the common are very popular for tobogganing. 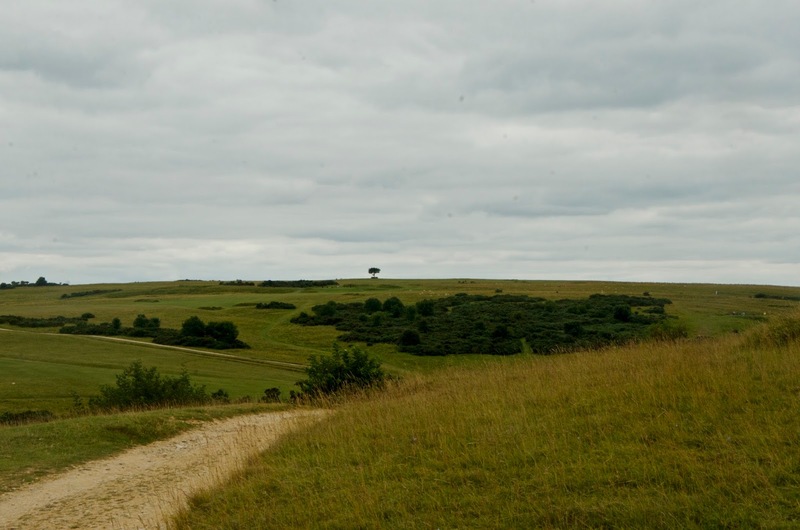 Should you decide to visit Cleeve Common on your next jaunt to the Cotswolds, it's important to remember that this pristine area is protected. Not only is the space open for everyone to enjoy, but it's also home to many animals and a grazing spot for others, including cattle and lots of sheep that you'll see roaming and relaxing freely. Because of all the animals, you'll probably notice quite quickly that there's quite a lot of poo on the ground. Because of droppings and the possibility of a snake sighting, it's advisable that you wear appropriate footwear during your visit and absolutely imperative that you leave this gorgeous place the way you found it. In other words, take back out anything you bring in... Don't be a litter bug and wear hiking boots or some other kind of sturdy shoes so that you may enjoy your visit and others can enjoy this wonderful public area after you've gone. It's advisable to plan your transportation in advance. There are trains regularly to Cheltenham Spa. From there, you can drive, take a taxi or there's a bus service from Cheltenham that's also available. It's also worth noting that there are no public loos on the common, so make a pitstop before you go and plan accordingly. Whether you're there for an hour like I was or spending a whole day in the area, Cleeve Common is definitely worth seeing! For more information or to plan your visit, check out www.cleevecommon.org.uk.